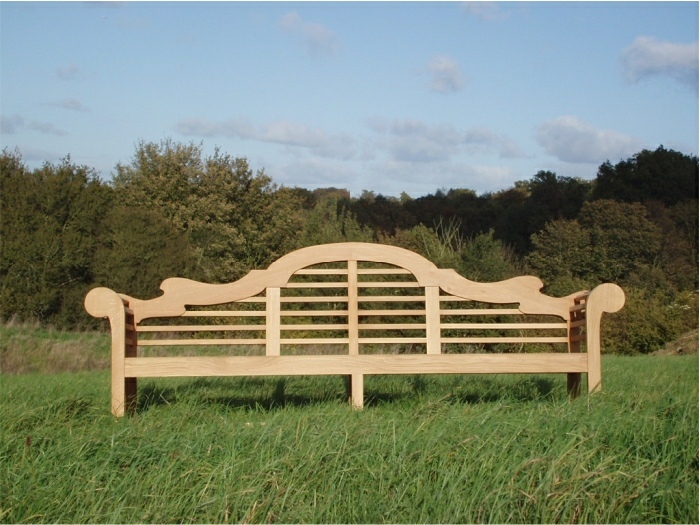 I have also made a replacement seat for the gardens at Sissinghurst Castle in Kent, using templates taken from one of the originals there. 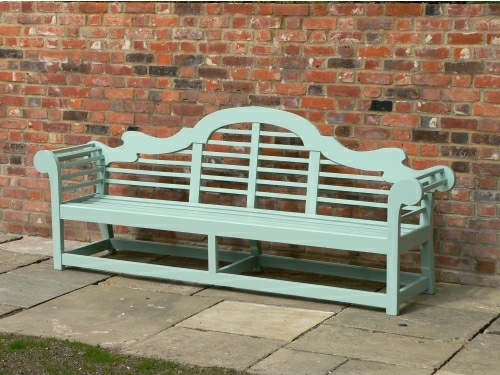 The Sissinghurst Seats vary a little amongst themselves and from the early example at Hatfield House. It is likely that many variants were made of this seat in the early 20th century, they were probably made in different Park workshops, albeit from a standard design and that the results account for the slight variations in design. During the last few decades many grotesque 'copies' of the Lutyens design have been imported from the Far East, which bear no relation to the lines of the original. Indeed their design is based on the ability to be flat packed and ease of construction, economy and efficient usage of wood, to the extent in some instances that the original design is almost unrecognisable. 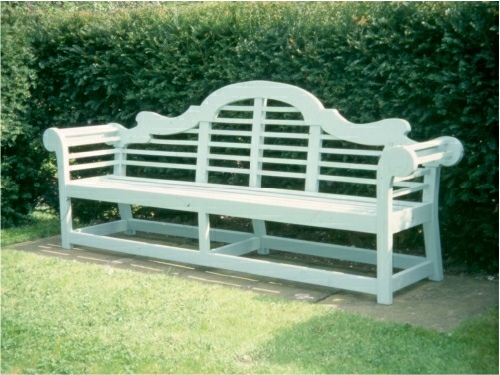 The Lutyens seat was originally designed for the gardens at Little Thakenham in 1902. 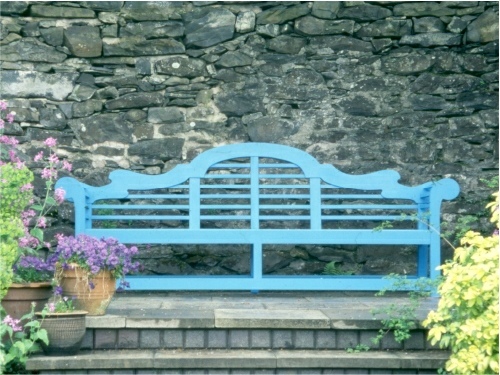 My large Lutyens seat design is a faithful copy of an original Lutyens seat that remained at Hatfield House in Hertfordshire. The only alteration made to the original design was to replace the uncomfortable widely spaced slats on the flat seat with a comfortable contoured seat. 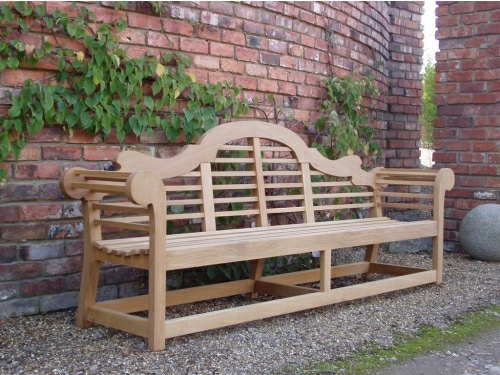 Original uncomfortable seats for purists can be made as a special order.